This is the second collaboration between Where Eagles Dare and integrated production company Big Block, who first came together to launch Gymboree’s “One Big Happy” brand platform in fall 2015. Where Eagles Dare reenlisted Trillo to direct the latest commercial, which sees the continuation of the full-scale marketing campaign. Set against the backdrop of a country setting, Trillo’s panoramic single shot captures a line of kids whose clothes gradually go from the dog days of summer to layered styles for fall. The procession has a timeline-like sequence, stopping to let each child get on their proverbial soapbox to deliver their own parental post-summer rules with varying measures of sugar and spice. 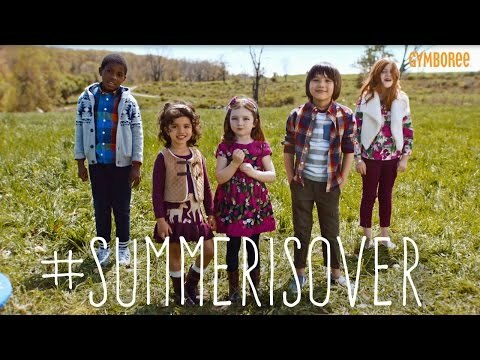 Each stop highlights the adorable looks from Gymboree's Fall 2016 collection as we take in yet another cheeky kid's back-to-school rule. Just when the viewer wonders how any parent could satisfy such a long list of demands, the sweetness wins the day with the chorus of kids proclaiming “Don't worry even though we don't act like it, we definitely need you: you make everything happy!” as they rush towards the camera for a hug sure to melt any grown-up's heart. Where Eagles Dare conceived and developed the spot, which exemplifies Executive Creative Director Brian Franks’ penchant for grabbing the viewer's attention by offering up the unexpected. An outdoor green screen studio provided the background for the children, each of whom was shot individually at the same location. The process produced a series of modular pieces, which Trillo was able to ingeniously fit together like parts of a puzzle, creating the illusion of one stunning continuous take. Franks launched Where Eagles Dare after an impressive 20-year tenure as Vice President Creative Director at American Eagle Outfitters, ae.com and 77 kids, where he authored or contributed to every major marketing campaign the AEO brand created. As ECD of Where Eagles Dare, Brian Franks takes his expertise to the next level, custom-building teams according to client's needs, resulting in innovative concepts and strategies that meet business goals as they break the mold.